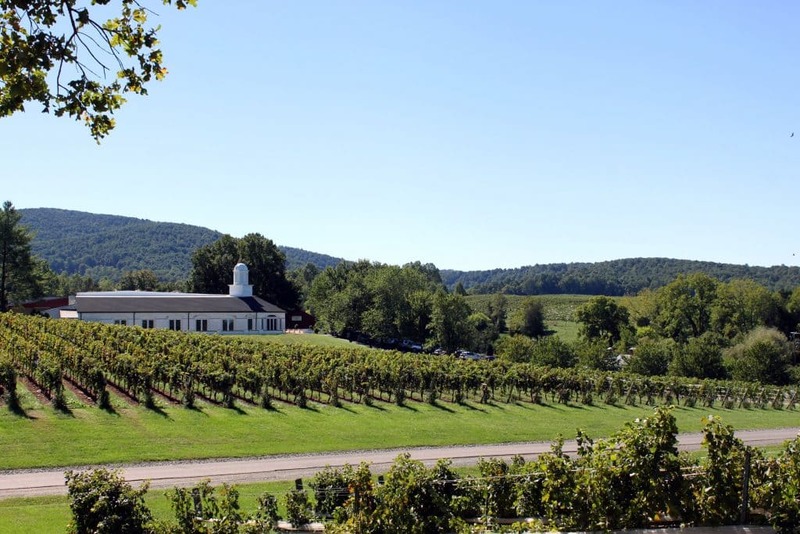 One of Virginia’s crown jewels of wine production, Barboursville Vineyards should not only be on your wine tour list, you should dedicate an entire day there. Famously known for its Octagon Bordeaux-style blend–served to Queen Elizabeth II upon her visit to the Commonwealth–there is greatness to be discovered. And tasted. 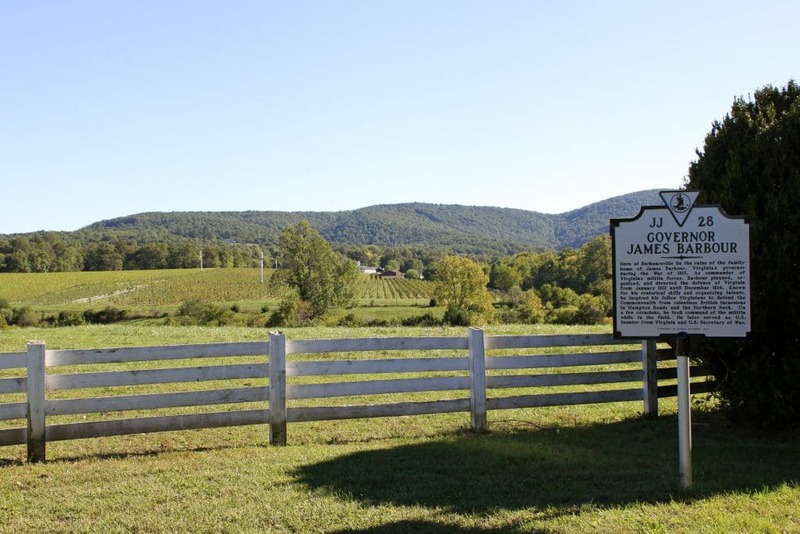 Riding across the gentle hills of the Piedmont region, you’ll be struck with not only vivid history, but an area that time has yet to disturb. 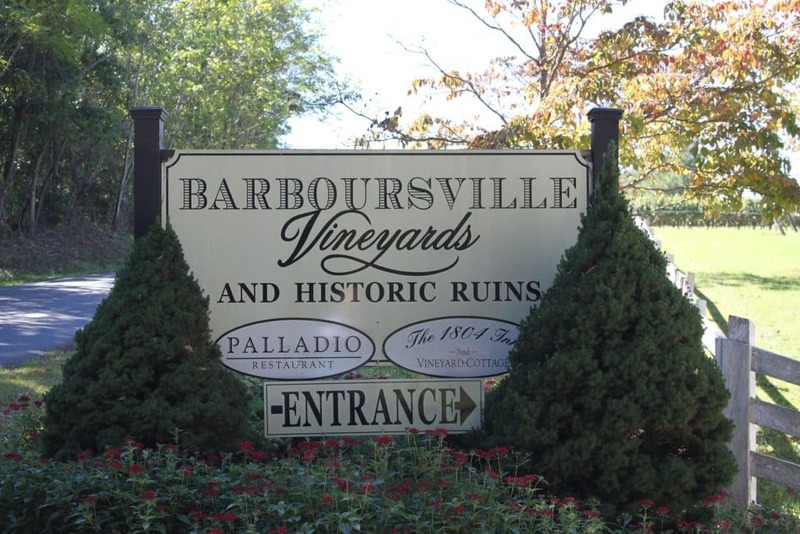 And Barboursville Vineyards holds a tale of history in and of itself. 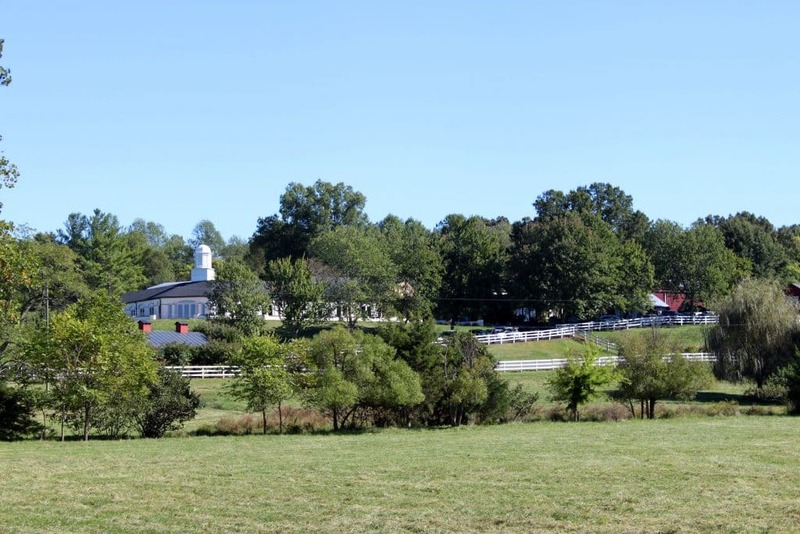 The 900 acre parcel where the vines and winery reside was once the grounds of Virginia’s 19th governor. 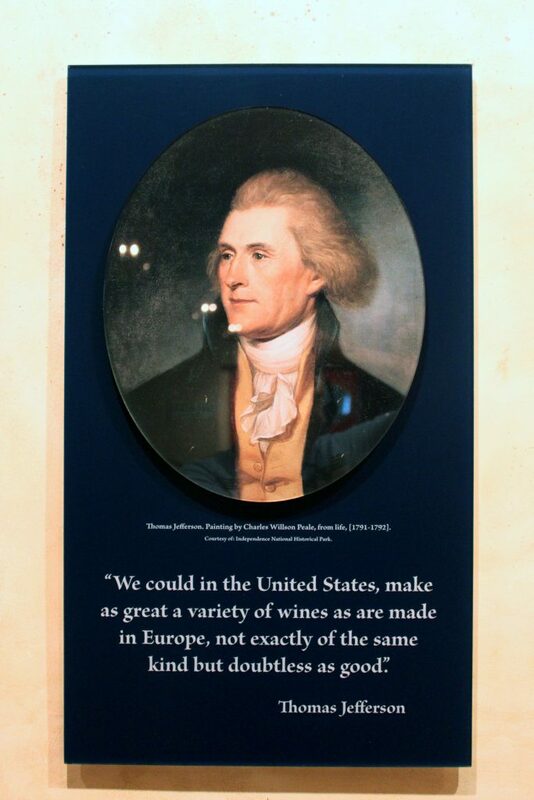 More notably, the governor’s house was architected by Thomas Jefferson, whose personal history is not just as one of America’s Founding Fathers, but whose obsession with wine has created the footprint upon which so many wineries now stand. 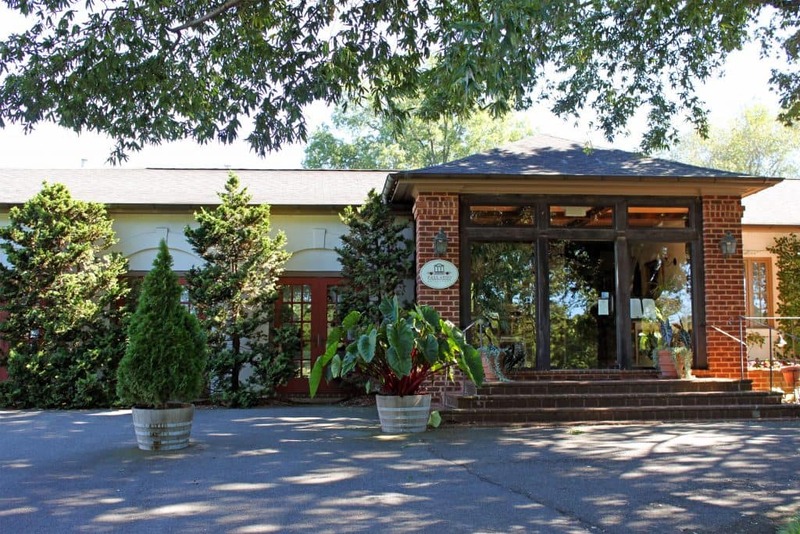 Despite its rural location (over an hour from Richmond, over two hours from DC), this winery is a heralded destination. You can sense the size of expected crowds based on the parking lot alone. 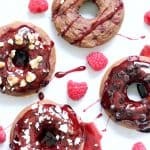 But with a large tasting area, gift shop, a dedicated building for housing and tasting Octagon, the Palladio gourmet restaurant, as well as picnic areas, you can expect a sizable number of visitors. 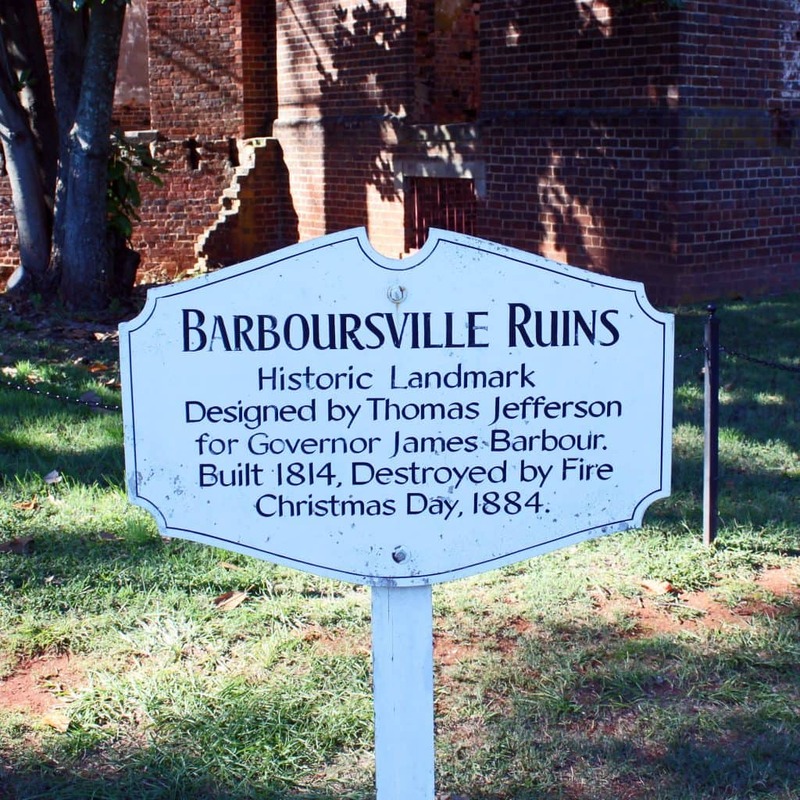 Barboursville handles the attention with aplomb. 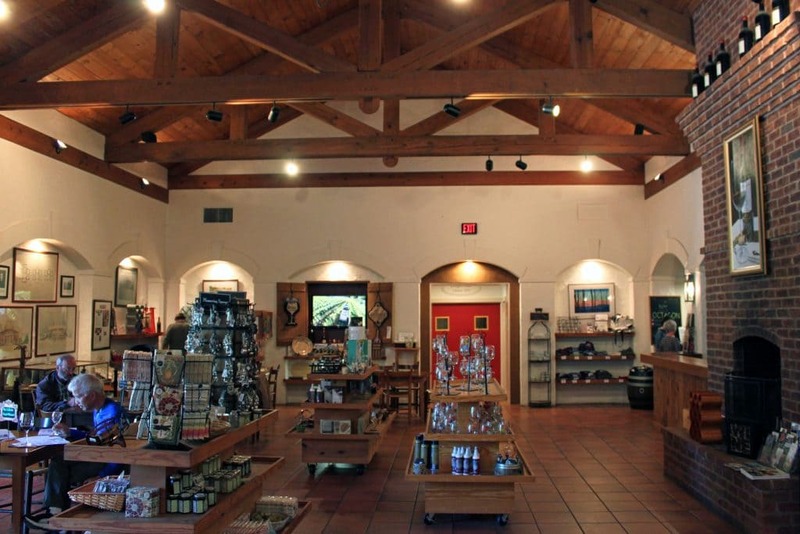 Entering through the main entrance and gift shop, you will find a series of wine stations. They understand there is much to learn here, and they stand at the ready. 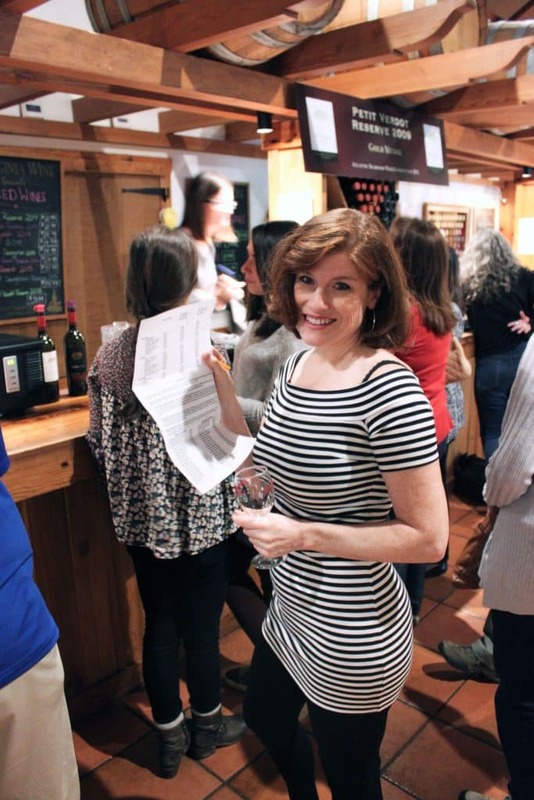 With an astounding tasting of 23 wines for a mere $7.00 (including the glass), it is arguably the grandest tasting you may find in Virginia. 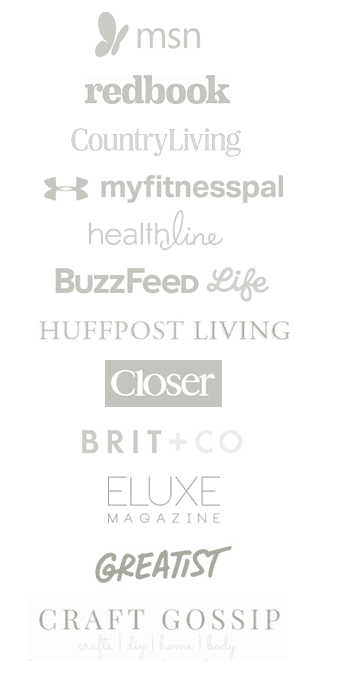 Alternatively, consider: twenty-three wines. The pours are short, as they would need to be or no one gets to drive home. 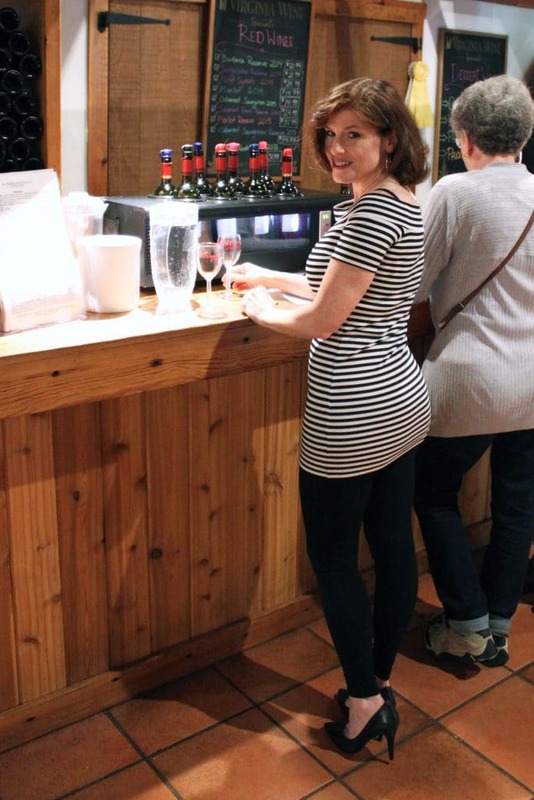 You will get a general sense of the wines, because there is much to sample. 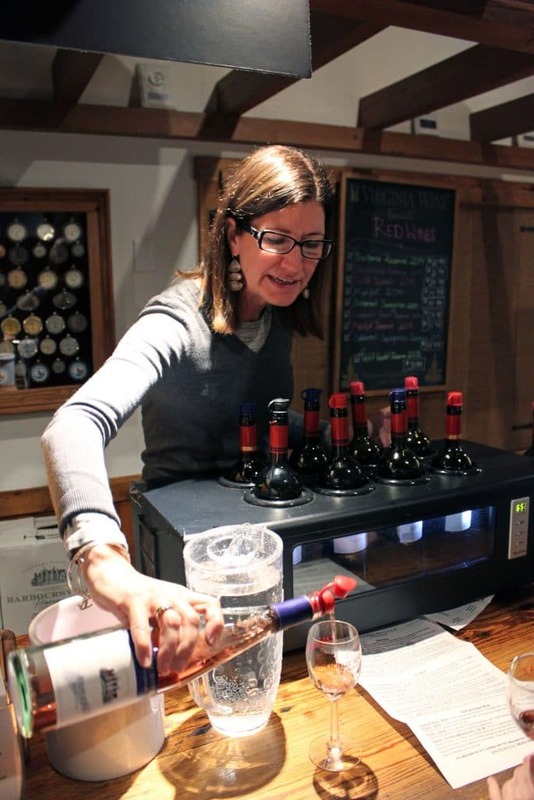 Yet Barboursville is equipped, with pitchers of water for rinsing and no issues with re-sampling wines upon request. 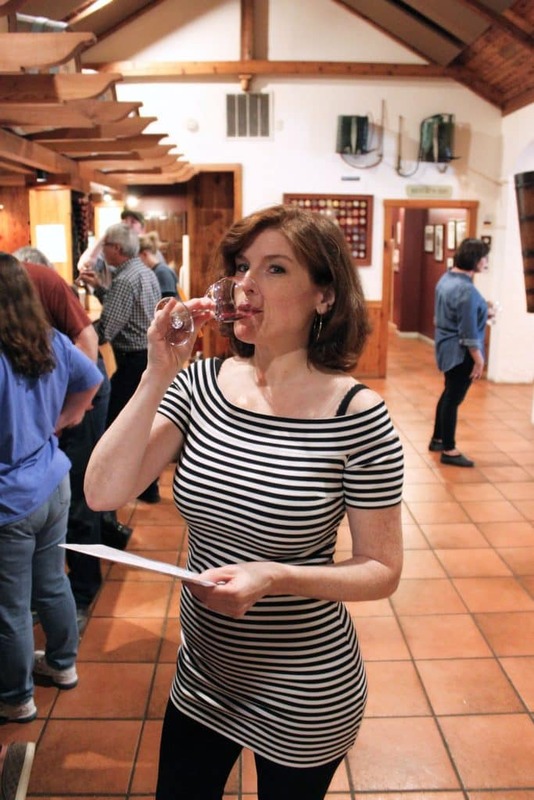 Barboursville’s tasting sheet is sizable enough to be confused with the Declaration of Independence (c’mon, I’m trying to keep with the Jeffersonian theme here.) While you’re waiting for your first pour, you might want to give it a once over to get an idea of all that is to come. 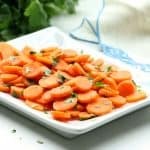 And if you’re a lighter drinker, you might even want to identify a few you can eliminate, or stick to only whites or reds. Blush and Dessert Wines: Cabernet Blanc (non-vintage), Rosato (non-vintage), Phileo (non-vintage), Paxxito (non-vintage), Brut Rosé (non-vintage 100% Italian Pinot Noir). 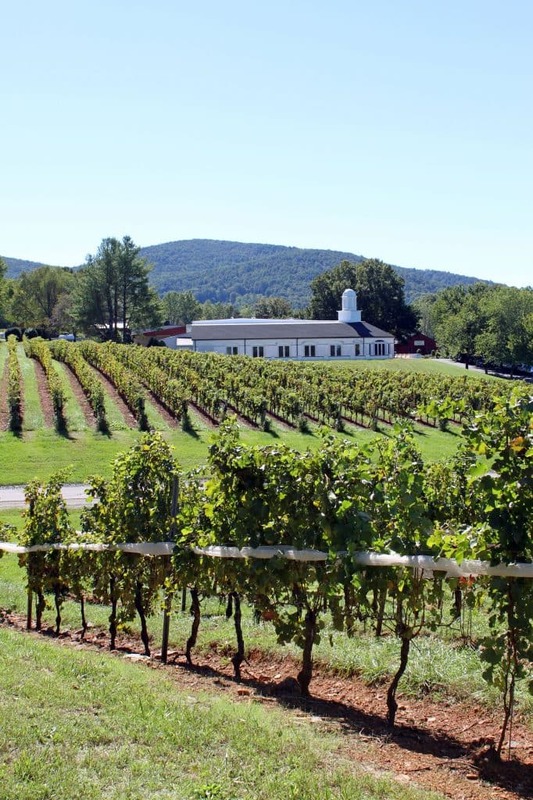 Barboursville is one of Virginia’s top five producers of wine, cranking out over 35,000 cases per year. And with so many varietals in their care, it might be easy to label them a jack of all trades, master of none. 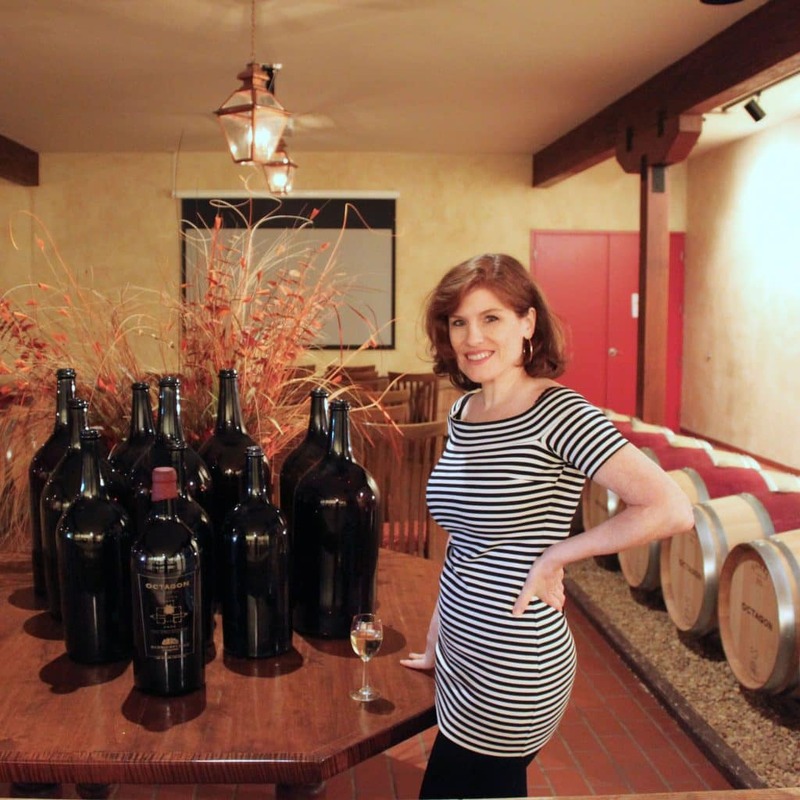 But having started winemaking in 1976 (I know, the Bicentennial–continuing our brief tour of American history), they have been around as long as many of your favorite California winemasters, and equally as practiced. The winery was founded by Gianni Zonin, having hailed from the northeastern Italian region of Veneto. 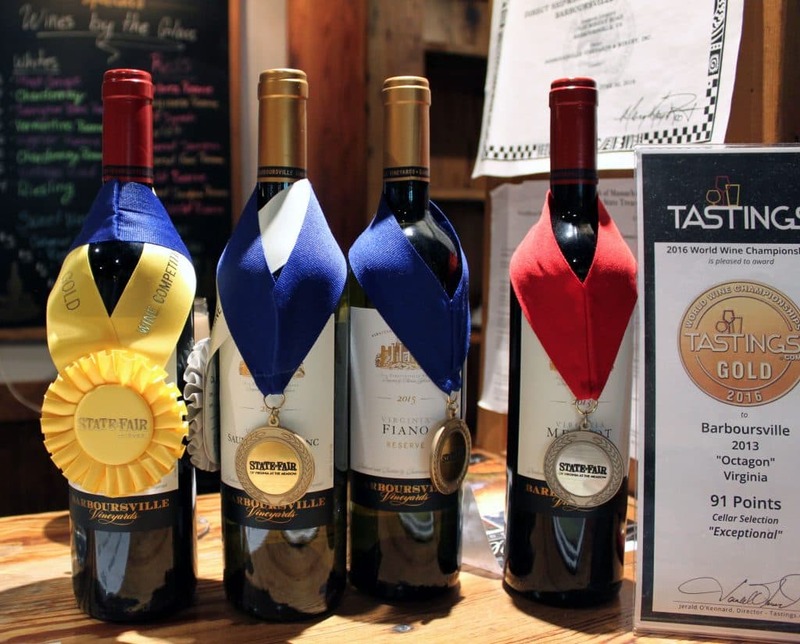 Staying true to both the culture of Barboursville’s Italian heritage (Sangiovese, Nebbiolo, Barbera) and the Virginia terroir (Viognier, Petit Verdot), they produce consistent wines of distinction. The 2013 Nebbiolo Reserve managed to stand out among the very large crowd. With its unique tobacco nose, you’ll find the expression of that Virginia terroir, gently shifting to violets and a full round palate of dark red berries. A delightful wine to keep in your cellar for those moments when you want a red with a personality of its own. The Viognier (“Virginia’s grape”) also pleased. 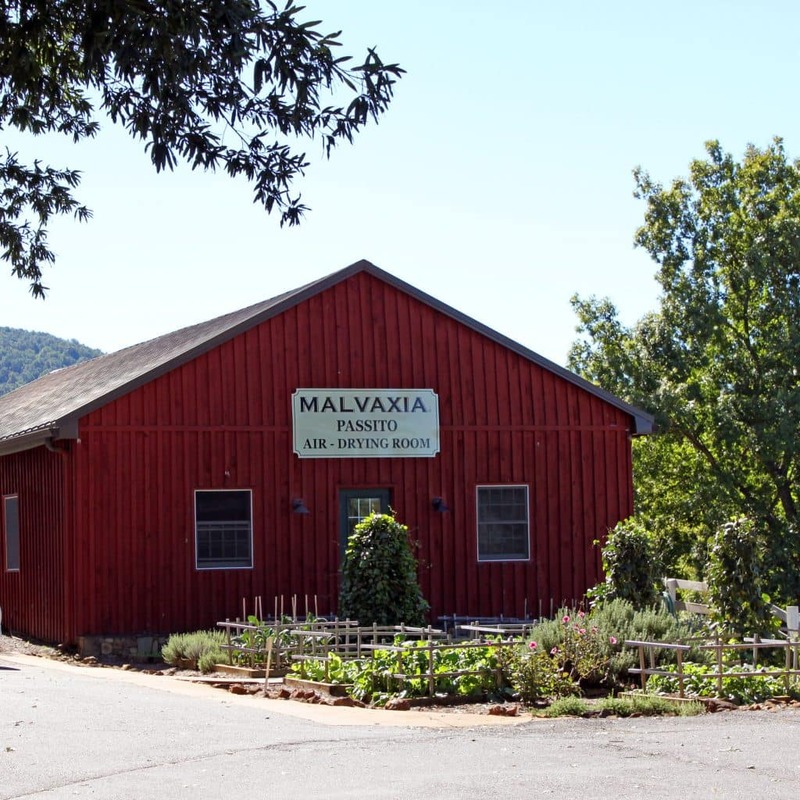 A staple among almost all Virginia wineries, you can really compare and contrast how each winemaker coaxes the varietal. Barboursville’s 2014 Viognier Reserve was delightfully smooth, emphasizing tropical fruit and lush texture. On the side of dessert wines, the Phileo won personal points. With a peach nose, it leads your palate through ripe strawberries, and leaves you with a clean finish. Crisp and light despite its 8% residual sugar. But, wait . . . what about the Octagon?! 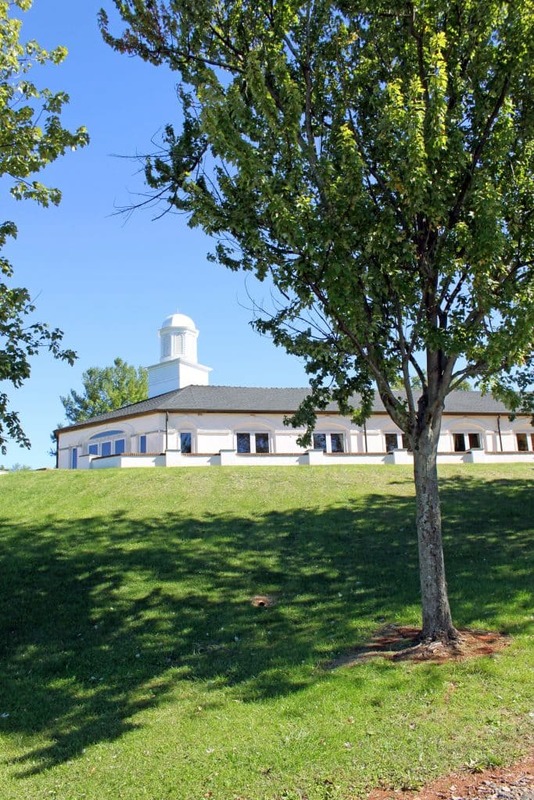 Octagon is the favored child at Barboursville. 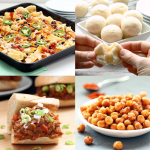 It has its own tasting. It has its own tasting room. It has its own cellar. And rightfully so. 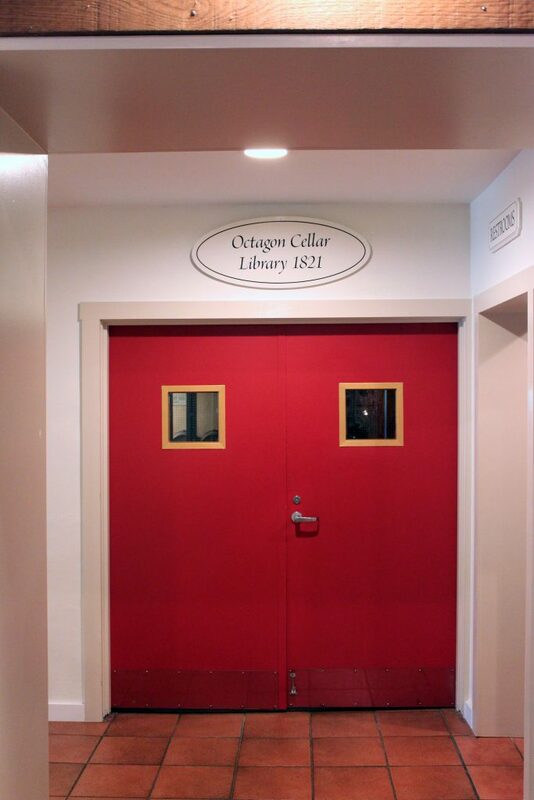 You can do a vertical tasting of Octagon in their special Library 1821 on Fridays, Saturdays, and Sundays. Currently, the tasting includes 2004/2007/2010/2012/2013 for $35. 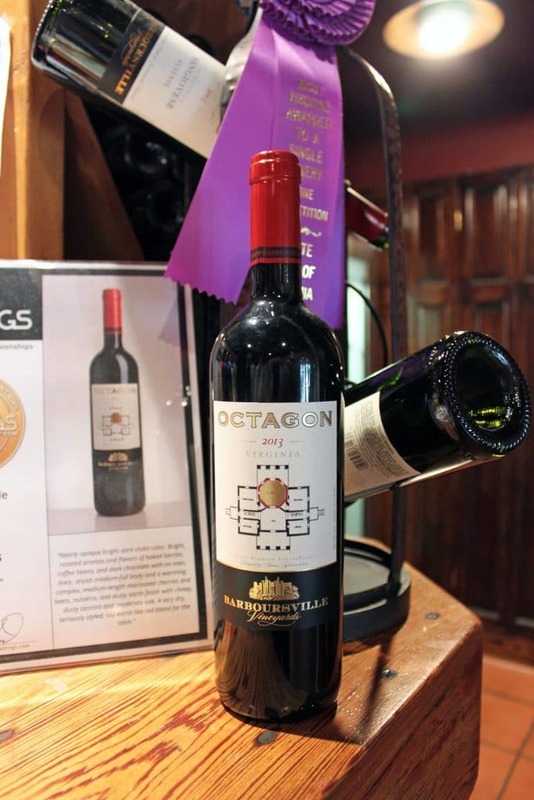 Octagon is Barboursville’s Bordeaux-style blend of estate-grown varietals Merlot, Cabernet Franc, Cabernet Sauvignon, and Petit Verdot. 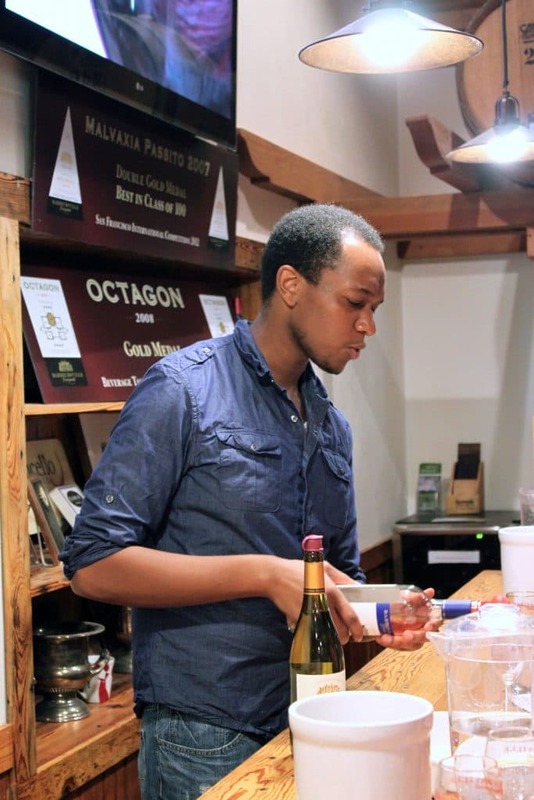 Having tasted both the 2012 and 2013 Octagon, a special return trip is on tap to experience this vertical tasting. Consistently: dark violet color; notes of cherry, chocolate, and coffee; mildly chewy, mildly oaky. One of the most finely crafted wines in the world. At $50+ a bottle, it might not make your daily dinner table, but would make an excellent addition to your collection for those special moments. After grabbing a glass of Riesling (I couldn’t resist its spritely lemon and nectarine on such a sunny day), I had to find out what lied beyond the red door . . . 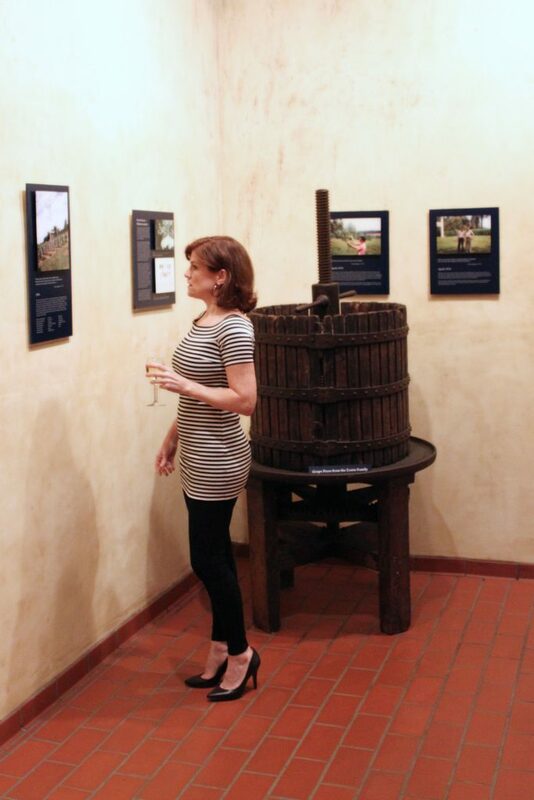 Inside the Octagon barrel room, the walls are lined with museum artifacts, a gallery tour of Virginia wine and Barboursville’s place on the map. 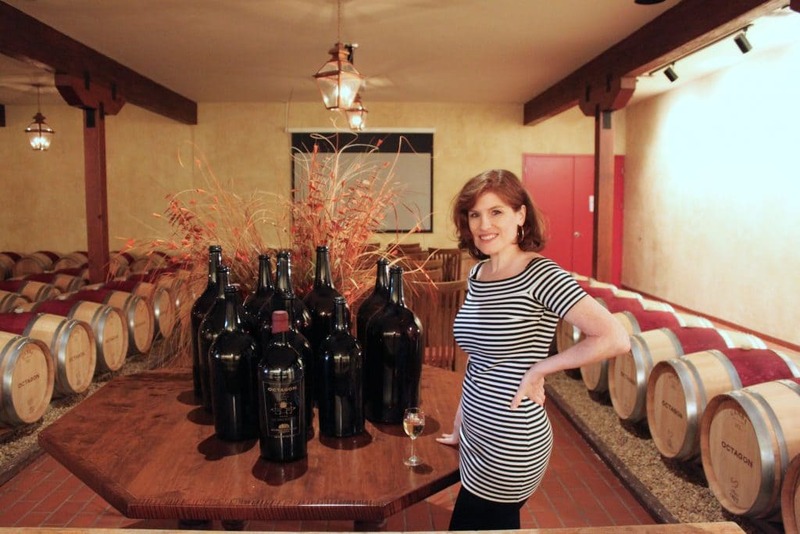 If you have some spare change, you can pick up a double magnum of 2005 Octagon for $539. Just sayin’. 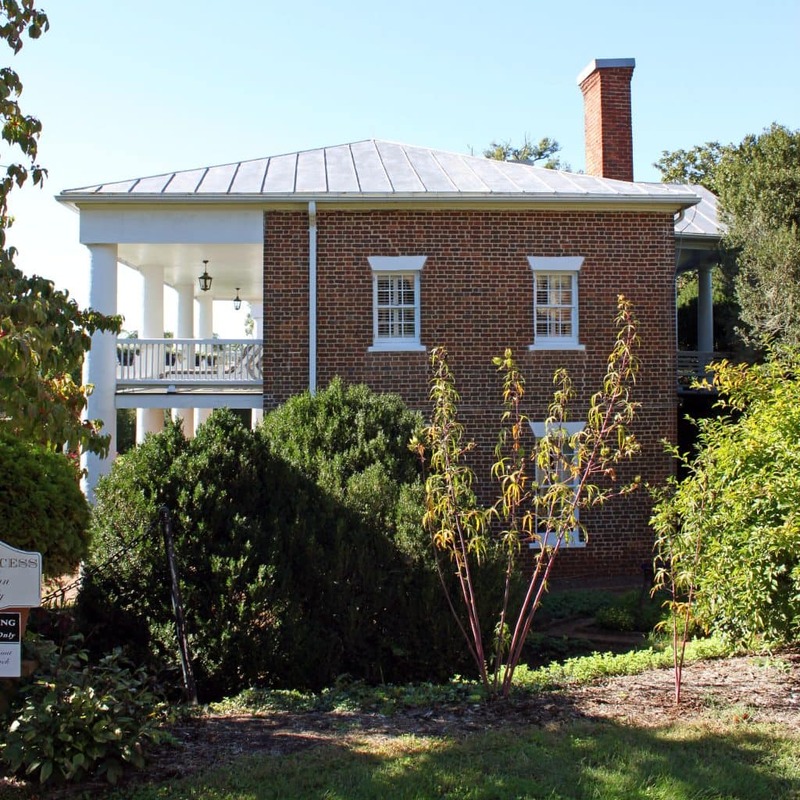 Back in the gift shop, there are artifacts showing the original designs of Governor Barboursville’s mansion–including the eight-sided drawing room that is the namesake for Barboursville’s iconic wine. 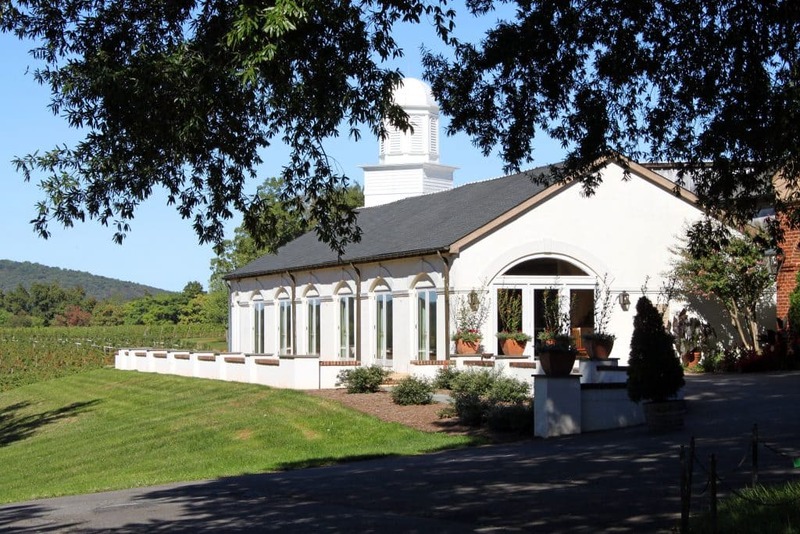 Just outside the tasting room are the Palladio Restaurant and the Passito Air Drying Room. 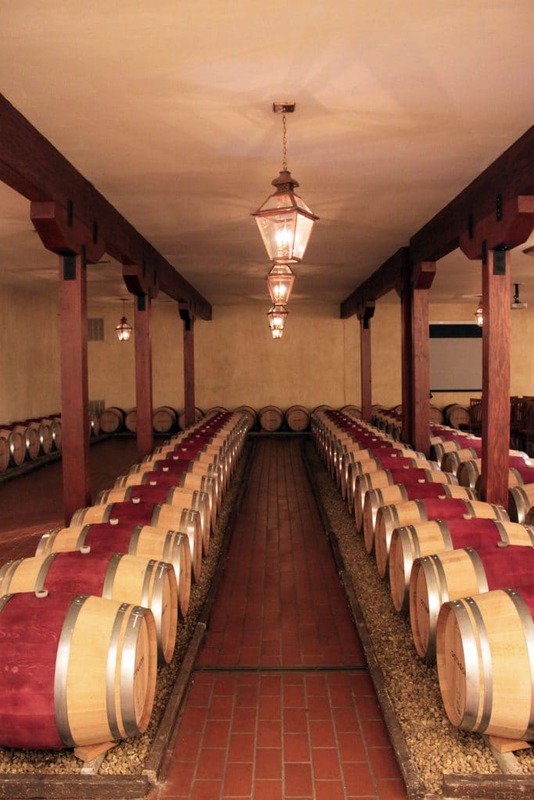 For Barboursville’s Paxxito wine, the grapes are air-dried in this room for up to four months after which they are crushed, then cool fermented for a half-year. 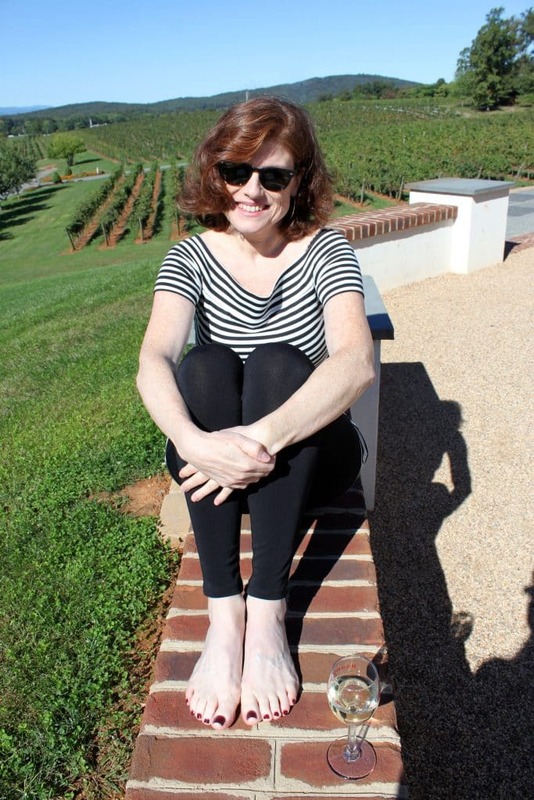 Before you walk to the ruins of the governor’s mansion, you have to take in the view from the winery, perched atop the crest of a hill and looking down across acres of cabernet franc. 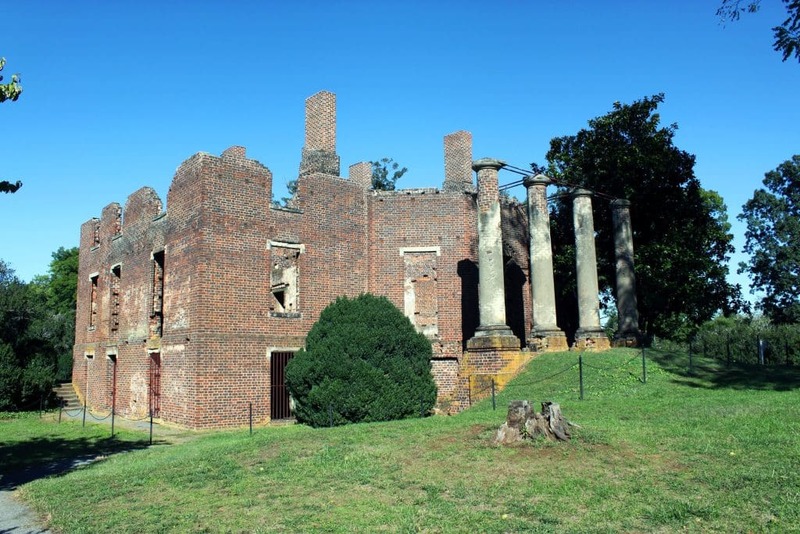 A short walk from the winery (or drive, during those cold Virginia winters) is the ruins of the Barboursville mansion. Built in 1814, the house lasted 70 years before going up in flames one Christmas. 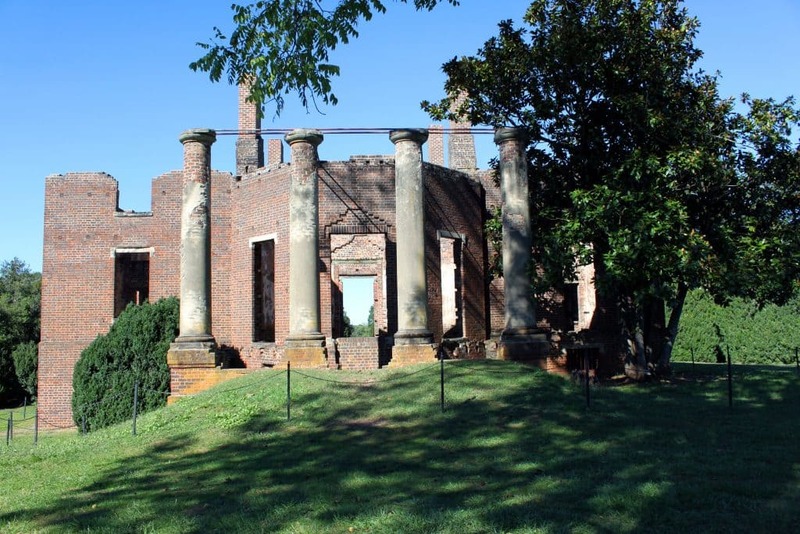 The ruins have been wonderfully maintained, surrounded by 20-foot boxwoods and towering oaks. And there is no shortage of acreage to find your private spot for the perfect picnic. Seriously, how cool is it to provide your kids with a history lesson that involves parental consumption of wine? Also on Barboursville’s sprawling estate is a colonial guest house with numerous large suites, along with numerous guest cottages. 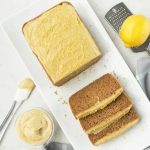 Perfect for wedding guests or just a night away with your loved one. 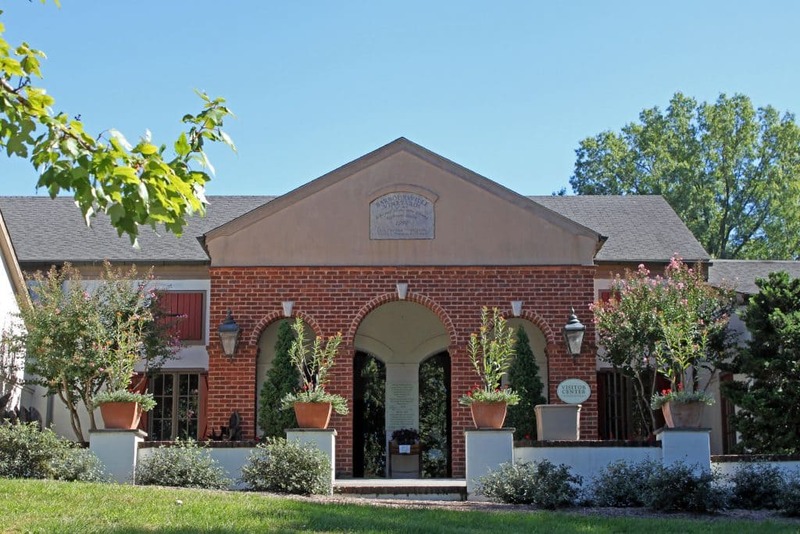 Make a day of it: a picnic and bottle for lunch, a tour of the winery and grounds, dinner at the Palladio, and an overnight stay at the inn. 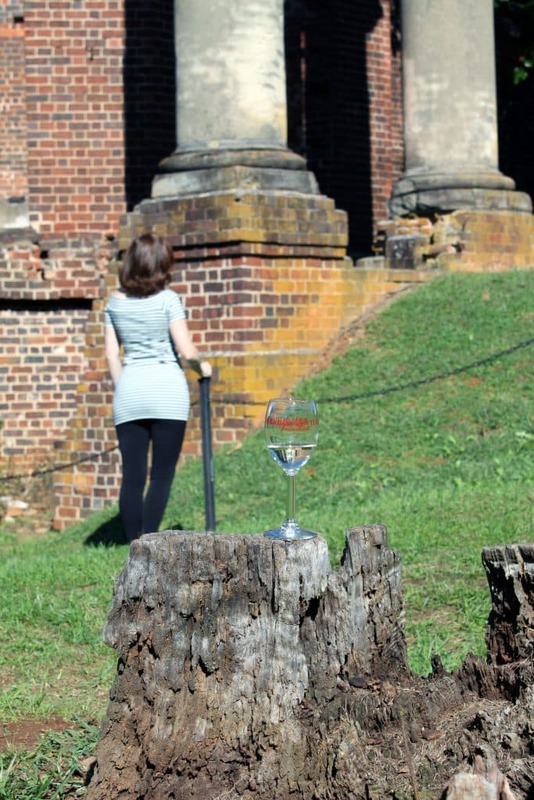 You can even view the ruins, winery and vines from your room! 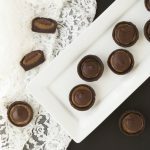 There is so much to do and see–and taste–at Barboursville. A great day trip with excellent wines and lush with history. 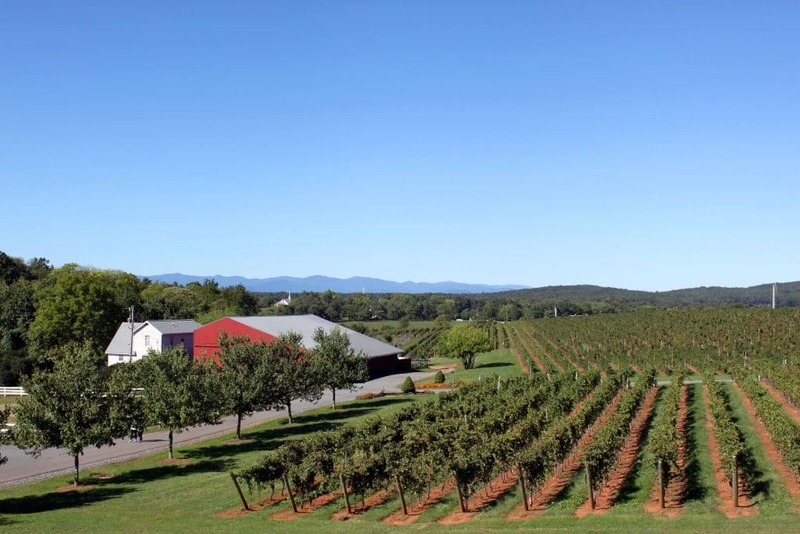 A superb setting for getting to know the uniqueness of Virginia wines. 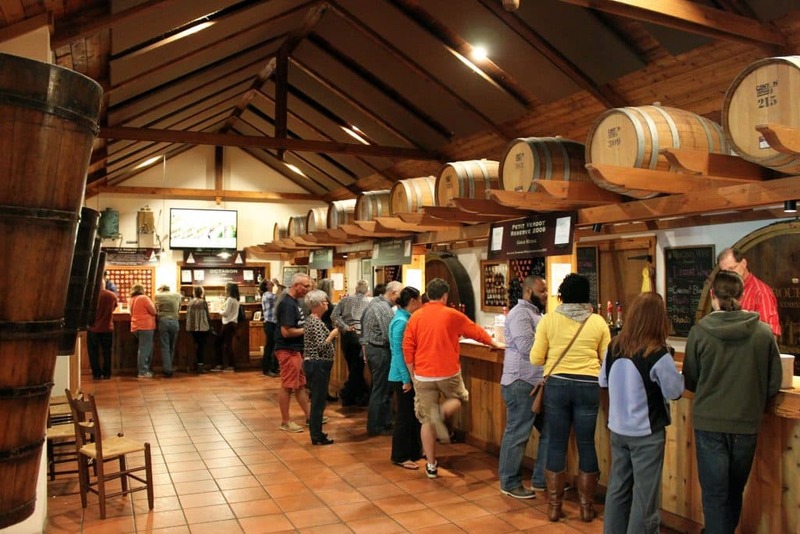 Visit Barboursville Vineyards, located at 17655 Winery Road, Barboursville, Virginia. 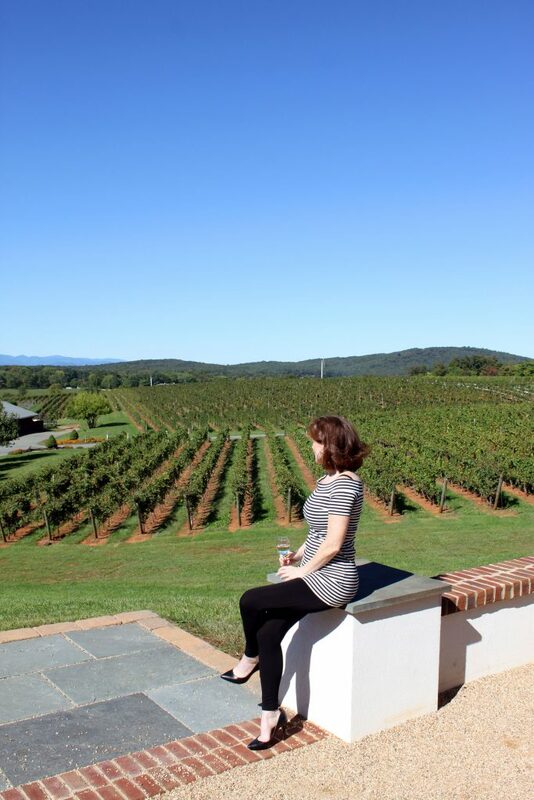 If you’re in Northern Virginia and would like to learn more about other wineries with oodles of 19th century history, read my travel posts for The Winery at La Grange and Miracle Valley Vineyard. 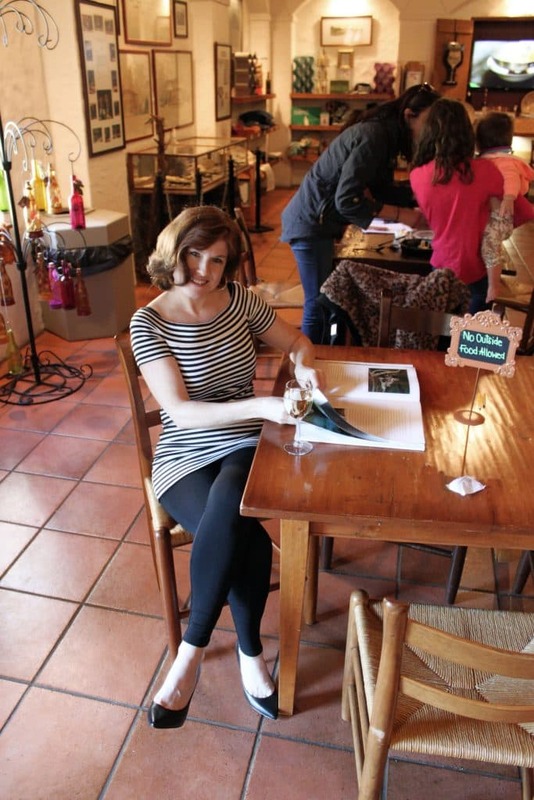 Or if your game for another Italian-influenced winery, check out Three Fox Winery. Very beautiful winery, can’t wait to try it!!! It is lovely and so is the surrounding area! 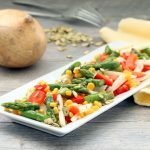 Let me know what you think when you do give it a try!